Our goal is to connect people with the best local experts. 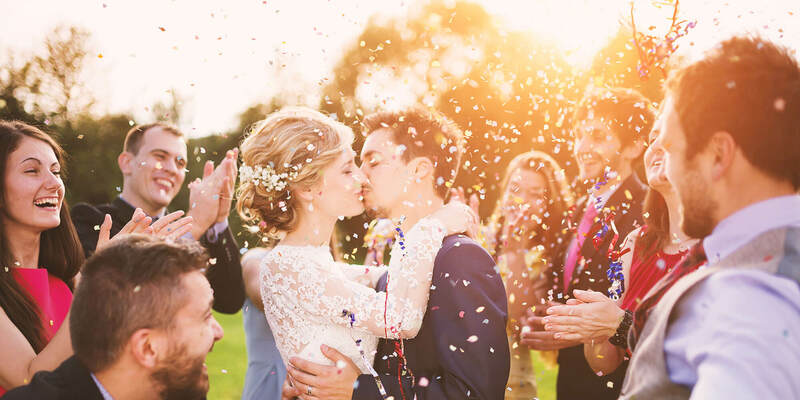 We scored wedding photographers on more than 25 variables across five categories, and analysed the results to give you a hand-picked list of the best wedding photographers in West Hartford, CT.
Andy Mars is a freelance photographer and instructor specializing in wedding photography. She works in both New York City and Connecticut. Andy is a Studio Artist at the Farmington Valley Arts Center in Avon, Connecticut and studied photography at Brockport State College. Memorial Arts Museum in Rochester, New York has exhibited her work as well as galleries in Manhattan and Connecticut. In addition to weddings, Andy photographs home and office decor. She also creates mixed-media artwork, integrating her photography with watercolors, pastel chalk, and acrylic paints on textured paper and canvasses. Customers praise Andy's eye for a great picture and ability to put her subjects at ease. ITZE Photography is a fine-art wedding photographer located in Connecticut, but the artists at this photography provider are available to travel anywhere to perform their work. Their main photography artist Tina Parsadanov creates her fine art wedding photography with a modern flair. Tina and her team capture joyously fun moments of local weddings, New York City weddings, and destination weddings all throughout the world. They specialize in wedding, engagement, and portrait photography. For ITZE Photography, life is full of magic, and people live for moments that take their breath away. Tina's art focuses on capturing these fleeting moments and encapsulating them into creative and beautiful works of art. Joe Crawford Photography, in Farmington, Connecticut is a portrait studio known for fashion and beauty portraits. Crawford combined forces with photographers, Tania Sones and Corey Brushett, to produce affordable, high-quality professional wedding photography under the name, Unexpected Photography. He has over ten years’ experience as a professional photographer and photo editor in the New England area. Engagement sessions are available, and prices for wedding day photography depend on the client’s choice of six hours, eight hours, or ten hours of coverage. The company offers a discount on services to past or active military, police officers, firefighters, and EMTs. Rick Dubie, with New Image Photography in the Hartford, Connecticut area, has nearly 20 years’ experience in photography based on his passion for film as an art. This popular wedding photographer provides coverage for surprise proposals, engagements, and weddings as well as portrait, headshot, real estate, event, product, and environment photography. For weddings, Dubie focuses on capturing emotions at essential points of the day. He has the experience to know where to be and when to be there. With close attention to detail, the expressions and glances that tell the wedding story are preserved without interrupting the wedding party or guests. Photo Expressions is a professional photography studio that serves the Southington, Connecticut area with professional photography repairs as well as other beneficial services. At Photo Expressions, the owner has the goal to offer expert, high-quality services for clients desiring commercial or residential photography. Photo Expressions is owned and operated by a highly-qualified professional who is thoroughly trained in various areas of the photography field. Included in the services that the business offers are wedding photography portraits, albums, prints, and digital images. Since the photography studio was established, the staff have worked continuously to improve the quality of its services by using updated equipment and referencing successful techniques that have proven to be successful throughout the years. Based in Connecticut, Richard Barreto Photography is the husband and wife photography team of Richard and Nicole Barreto. Despite their Connecticut location, they typically work well within the New England area including Rhode Island, Massachusetts, and New Hampshire. They aim to deliver a boutique experience with a photojournalistic style and pride themselves on their client rapport. Richard Barreto Photography will take the time to understand the vision for your wedding day and are willing to customize a collection tailored to your needs. Their collections begin at $2,800 and include a pre-wedding meeting, wedding day coverage, a fifty-page wedding album, private online gallery, and high-resolution photographs. Sara Bawtinheimer Photography, LLC is a professional photography studio serving the city of East Granby, Connecticut, and surrounding Rhode Island and New England locations. Sara Bawtinheimer Photography, LLC specializes in authentic and beautiful wedding photography using a fine art photography style. This photography studio provides a wide range of services including couples and engagement photography sessions, wedding packages, maternity photography, in addition to in-home newborn and family sessions. The team of professionals at Sara Bawtinheimer Photography, LLC is also available for domestic and international travel to destination weddings. The photography packages offered by Sara Bawtinheimer Photography, LLC are customizable.